Every spring the Botanic Garden presents its annual flower show, beginning on the first Saturday of March and running for two weeks. The beloved tradition, which began in 1971, offers a welcome glimpse of spring for winter-weary visitors from the region and beyond. The Botanic Garden staff work throughout the year to plan and prepare a newly designed display with a new theme. 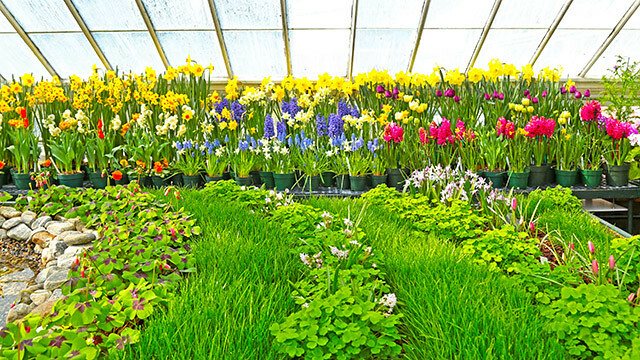 Thousands of plants with colorful and fragrant blossoms are carefully grown and coaxed into bloom just in time for opening day. 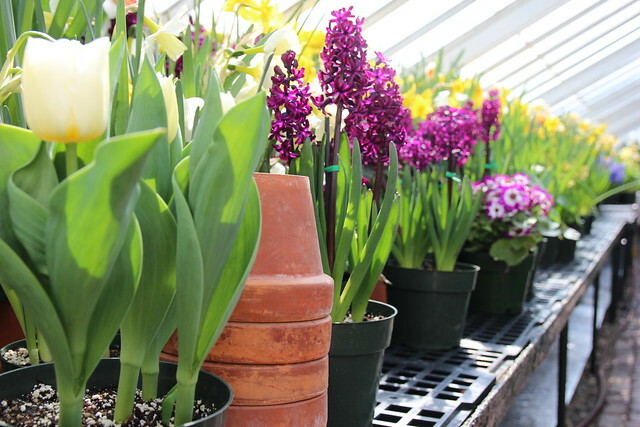 Tulips, daffodils, hyacinths, cinerarias, pansies, freesias and more bring the display to life. In recent years, the Botanic Garden has collaborated with students and faculty in the art studio department to design, create and install a unique work of art that is fully integrated into the show, complementing and enhancing the floral component.